Our names are Paul Lang and Michael Parlow and we part of a DUI Law Firm. 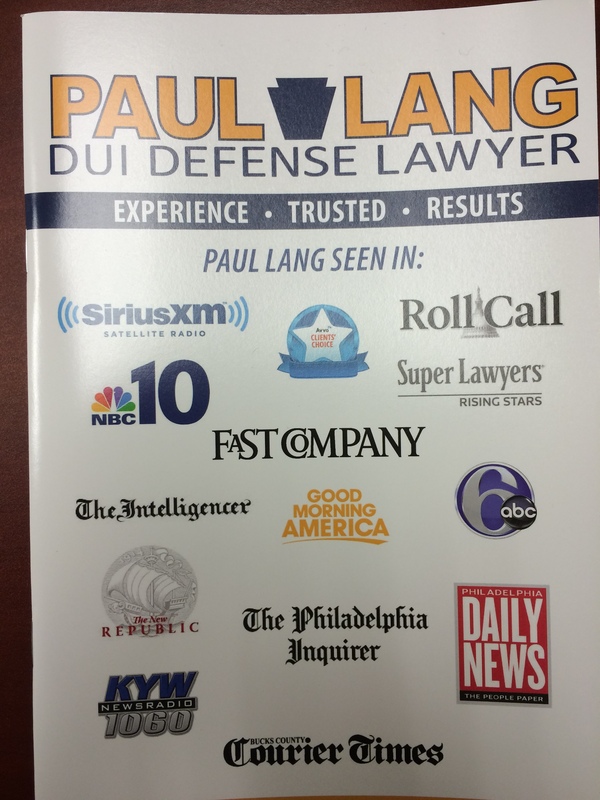 We have handled over 6,000 DUI’s. 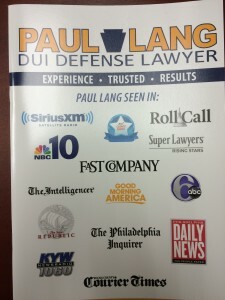 We are the go-to law firm in the Quakertown area for those looking for DUI defense. We are also long-time residents of Bucks County. We have been a DUI attorney for over a combined 30 years. As a former Bucks County Assistant District Attorney, Michael prosecuted numerous criminal cases and resolved them by way of both judge and jury trial, as well as pleas of guilty. With that background, he became a Defense attorney over 15 years ago, and have been handling criminal cases “from the other side”. Paul was a former law enforcement officer who was injured in the line of duty and became a defense lawyer. Having been a prosecutor and former law enforcement officer, we are able to determine which cases are “worth fighting” and which ones are more suited to a negotiated plea. In that regard, we have tried cases as a defense attorney before both judge and jury , and have argued motions to suppress and dismiss in Bucks County’s Court of Common Pleas. When you face a Bucks County DUI in the Quakertown area, you should go to an attorney who knows the process, prosecutors, judges, and law enforcement. At this point our practice for criminal law, of which the majority are DUI’s, has become known for its a conscientious, knowledgeable, and passionate attorneys. We are known and well respected by all of the local police departments, district attorney’s offices, and judges and court staff and have a good working relationship with them as we have dealt with them on a daily basis for so many years. We are willing to meet with our clients, for the most part, when it is convenient for them so that they are not forced to miss work and lose wages in order to discuss their case with an experienced attorney. We offer free consultations and payment plans in order to provide everyone with the opportunity to be have a fair and just resolution to their case. Each case has its own specific facts and circumstances and each person charged with a crime has a story to tell, and we are willing to listen to that story and give advice and guidance based on my years of experience in this area of the law, as well as my knowledge of the the police, prosecutors, judges and court procedures that apply. When we have represented a client, they refer us to others which is the greatest testament to my ability to resolve the matter with the most favorable outcome possible based on the circumstances of that particular case.